The suspect opted to fight instead of defending his guilt in court. 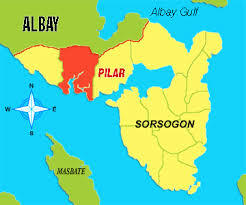 Pilar, Sorsogon, [01.31.19] – A former Punong Barangay (village head) in the municipality of Pilar, Sorsogon was neutralized in a shootout with the police on Wednesday evening while a buy-bust operation was being implemented, a police report said. The buy-bust operation which resulted in the armed encounter was implemented by joint elements of Regional Intelligence Division-PRO5; Police Intelligence Branch-Sorsogon Police Provincial Office, PDEA-Sorsogon and Pilar Municipal Police Station conducted against the suspect, Roy Lumbao y Morales. Lombao who was a former village chief of Barangay Binanuahan, Pilar, Sorsogon met his untimely death at the hands of the police operatives when he opted to fight it out instead of yielding to his arresting officer, the report said. The police have recovered from the suspect’s possession were one piece Php1,000.00 bill used as buy-bust money, seventeen pieces Php1,000.00 boodle money, one piece of the plastic sachet (1 bulto) of suspected methamphetamine hydrochloride (shabu) with an estimated market value of Php18,000.00, and one unit caliber .45 pistol. Lumbao is ranked Number #8 in the Sorsogon provincial target list drug personalities the report ended.